Union City Rd, Brookstown Rd, Hunter Rd, and 4 Mile Rd. Some property owned by George Hornsby, Claude Hornsby, J. W. Deatherage, W.R. Harris, Lathe Barter, Kenneth Golden, and James Gentry. 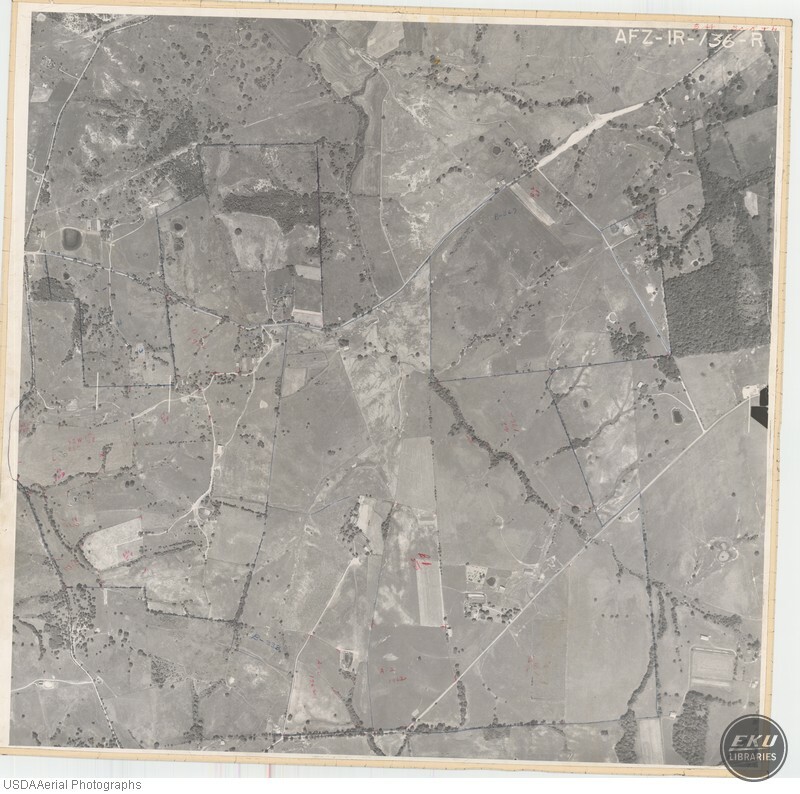 USDA, “East Madison County, Southwest of Union City,” Digital Collections, accessed April 19, 2019, https://digitalcollections.eku.edu/items/show/810.